Our Land Rover service center serving Benton knows the importance of keeping your tires rotated and balanced, and we also know how easy it is to forget to do it. We’ve come up with some tips for you so next time you stop in, you’ll remember to ask for a tire rotation and balance. Why Is Rotating and Balancing Important? The tires on your car wear down as you drive. This may not come as a surprise to you, but what you might not know is they don’t usually wear down evenly. More power is often applied to the front tires due to braking force, so the tires in the front will wear down their tread quicker than the ones on the back. Also depending on your driving style, certain tires might wear down more than others. This is where rotating your tires comes in. 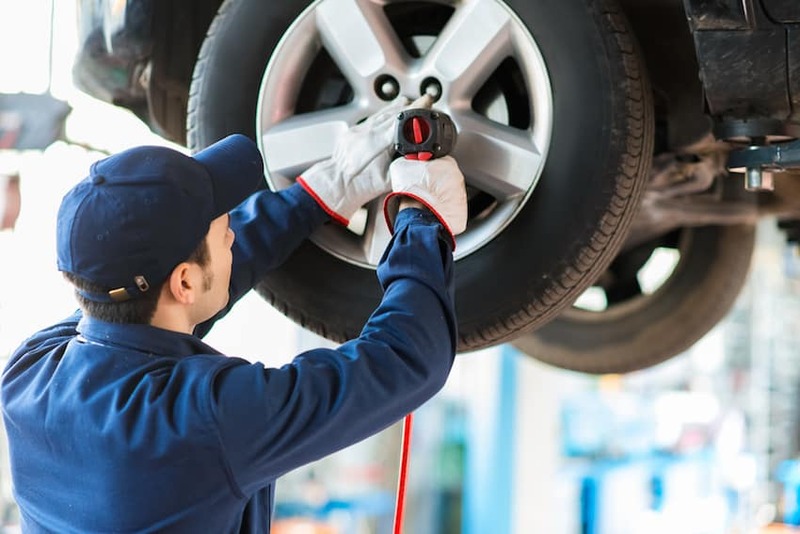 By having one of our certified technicians move your tires from front to back and left to right, it ensures the even wear of all your tires so when you buy new ones, you can buy all four at once. It also makes your car safer to drive. Balancing tires is the process of adding small lead weights to the rims of the wheels to fix any vibrations or noises that you might hear when you’re driving, even if you aren’t turning. Making sure your tires are rotated and balanced routinely is important to maintain the optimal performance of your vehicle. When Should Benton Area Drivers Rotate And Balance Tires? Every 7,000 miles is a good number to stick by, but it’s not always the easiest to keep tabs on. To make it easy on you, it’s perfectly acceptable to just get your tires rotated and balanced at every other oil change. Aside from routine maintenance, you should bring your car in to get your tires checked if you hear any excess noise or feel vibrations when holding the steering wheel. If left unchecked, those small noises could end up costing you a lot more money in the future. To make it easier on you, our Land Rover service center offers Benton area drivers the option of scheduling your service appointment online so you can be in and out even faster. Contact us today with any further questions about rotating and balancing your tires or any other routine maintenance.